For a two bedroom home, rents in Atlanta (the median is $1,250 per month for a two-bedroom) are only $600 per month more than the cheapest city (Wichita), but nearly $2,500 a month cheaper than the most expensive city (San Francisco). For a two bedroom home, prices in Atlanta (the median sales price is $230,000 for a two-bedroom) are $134,000 more than the cheapest city (Detroit), but nearly $830,000 cheaper than the most expensive city (San Francisco). Which is Better Financially: Renting or Buying? We called in real estate expert Ralph McLaughlin, Trulia’s housing economist, to help us with this one. “Whether it’s better to rent or buy is ultimately dependent upon each household’s circumstance,” explains McLaughlin, noting factors like how much money for a down payment buyers have, their credit rating, tax bracket and how soon they might move. “Each household needs to take into account their specific situation—even a small change in circumstance could actually make it cheaper to rent,” says McLaughlin. So what does this all mean? Looking at all of Atlanta, a breakeven point of 1 year means that if you plan to stay in your home for more than one year, it is better to buy that home than rent it. 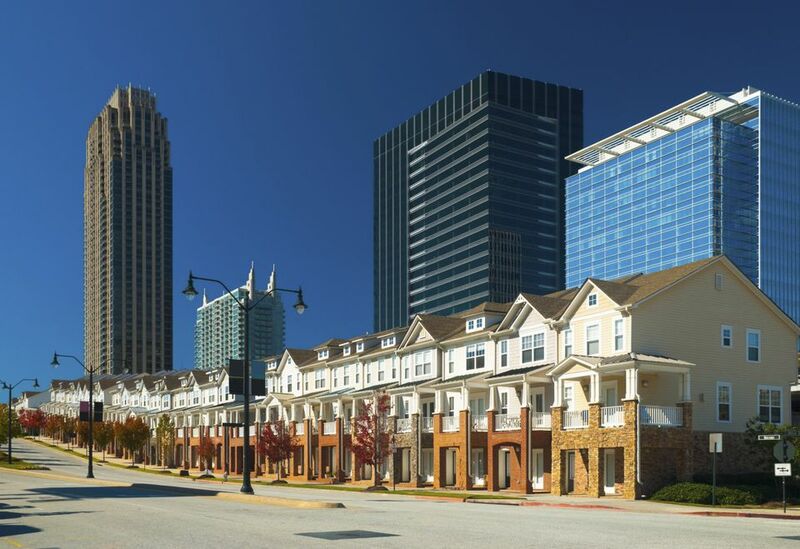 In Buckhead, you’ll have to stay longer in order to hit that breakeven horizon—essentially meaning that you should rent in Buckhead if you plan to move again in less than two years. 1 year: Renting is 58 percent cheaper than buying. 3 years: Renting is 14 percent cheaper than buying. 5 years: Buying is 9 percent cheaper than buying. 10 years: Buying is 27 percent cheaper than buying. 25 years: Buying is 36 percent cheaper than buying. Based on these numbers, if you’re planning to move in three years or less, you’d be better off renting, but if you’re planning to stay in the house for five or more years, it’s more economical to buy. Plus, when you buy your home, you’re building wealth in the long-term, especially if your home value appreciates over time, explains McLaughlin. Similarly, homeowners receive various tax benefits (they can write off interest and mortgage insurance) and have more control over their space as they can make modifications without permission.